Paul Bracq's second rendering of an El Camino (Chevy) type 600 has been built with even more attention to detail than the Benzomino. ...and the rest of the detailing by Karl himself. It's needless to state the endless list of detailing and fitting but the reward of a thrilling driving experience is well worth the effort. 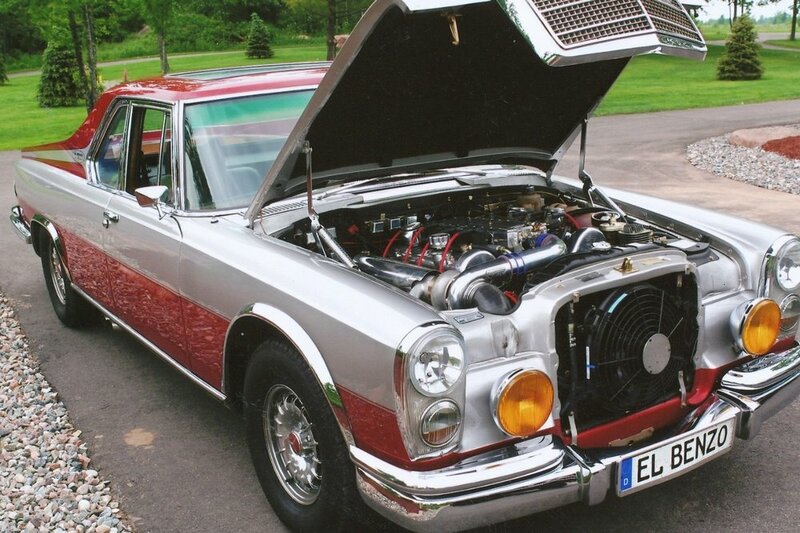 This is a ONE OF A KIND Paul Bracq design built into a #1 collector Grand Mercedes Benz.